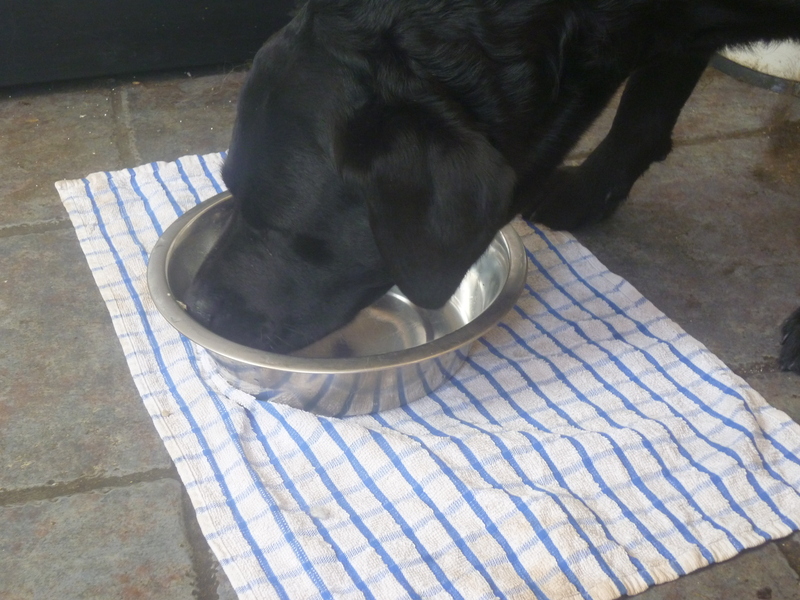 If you have a tiled or wooden floor and your dog’s bowl slips about as they eat, it is very easy to keep the bowl in the same place by putting a tea towel down first. The bowl stays stationary, the dog can eat their dinner in the one place and there isn’t the unpleasant scraping noise as it moves around the floor. If they are a messy eater it doesn’t matter as the tea towel is easily washed.